San Cristobal, Venezuela. The start of the rainy season has many Venezuelans excited about the cold weather, especially after a long dry season as result of the natural phenomenon of El Niño, which has caused daily power outages and water supply shortages. However, each year the first signs of rain cause anxiety and fear amongst populations living in vulnerable communities, especially persons with disabilities who will face greater dangers to their lives in the case of a natural disaster due to the lack of accessibility they experience even during weather-stable conditions. During June and July 2015 Tachira State registered all-time record levels of rain which caused 2,500 families to be isolated, 25 evacuated from their vulnerable houses and approximately 100 classified to be in high-risk, according to information by San Cristobal’s Major. While the 2015 levels were historic, each year road blockages, the collapse of vulnerable houses and the evacuation of families occur more or less in the same scale during the raining season, and given the structural problems in the state the forecast is not positive. According to Proteccion Civil Tachira, the main emergency response institution in the state, the region is located upon geological formations and water bodies that make it susceptible to heavy rains, which is further complicated by the lack of control in the development and maintenance of housing structures. Furthermore, there is an alarming lack of follow-up and long-term solutions for people displaced by natural disasters. As of January of this year 60 displaced families as result of heavy rains and landslides back in 2012 are still in temporary shelters, according to regional authorities. Last year, “El Rio” in San Cristobal was one of the most affected communities by the heavy rains, making it part of the news coverage. The problems of incommunicability, destruction of vulnerable houses and displaced people generated food drives and other charitable activities by both the public and private sector. Nevertheless, just a year later community leaders have denounced the complete abandonment by local and national authorities, the stalling of proposed improvement projects and the persistence of problems such as the collapse of draining and residual waters systems. In this context of lack of assistance, inexistent regulation and high propensity to landslides and flooding, persons with disabilities face major hurdles in order to safeguard their mental and physical integrity. According to Handicap International, an NGO that works with people with disabilities in situations of poverty, exclusion, conflict and disasters, there are important gaps in the access to services for people with disabilities during a humanitarian crisis. In a study presented in the context of the World Humanitarian Summit celebrated in May of this year, the organization pinpoints the lack of access to health services as the main gap in the protection of people with disabilities during humanitarian responses. In San Cristobal the access to healthcare services is virtually inaccessible for persons with physical disabilities, even without the presence of natural disasters. A couple of weeks ago we decided to visit four of the main public health service providers in San Cristobal, which vary from ambulatories, Integral Rehabilitation Centers (IRC) and regional hospitals, where we explored the accessibility of its main entrances. Three out of the four providers do not have access ramps for people who use wheelchairs nor sidewalk textural changes for people who are visually impaired. Main Entrance of the Hospital “Dr. Patricio Peñuela Ruiz” without any accessibility ramps or continuous sidewalk to the main access point. Hospital Central de San Cristobal. Main entrance. See steep slope. Only one provider, the Integral Rehabilitation Center Dr. Lucio Oquendo has an access ramp in its entrance. However, as seen in the pictures the slope is very steep and it does not have handrails. Entrance of the IRC for treatment and rehabilitation of persons with disabilities. Sidewalk with access ramp. No handrails available. See steep slope. On the other hand, after exploring San Cristobal’s Central Hospital we found a ramp with a handrail which leads to an access point approximately 100 meters from the main entrance, however, there is no signaling to quickly identify it and it is not built according to national accessibility standards, specifically the COVENIN Norm number 3656:2001. Entry point of the lateral accessibility ramp in Hospital Central San Cristóbal. View of the steep slope of the ramp. In four out of the four centers the access roads from the nearest bus station do not have ramps, textural changes or any type of accommodation for people with physical disabilities. Additionally, we did not find public transportation units with access ramps or spaces for people using wheelchairs. 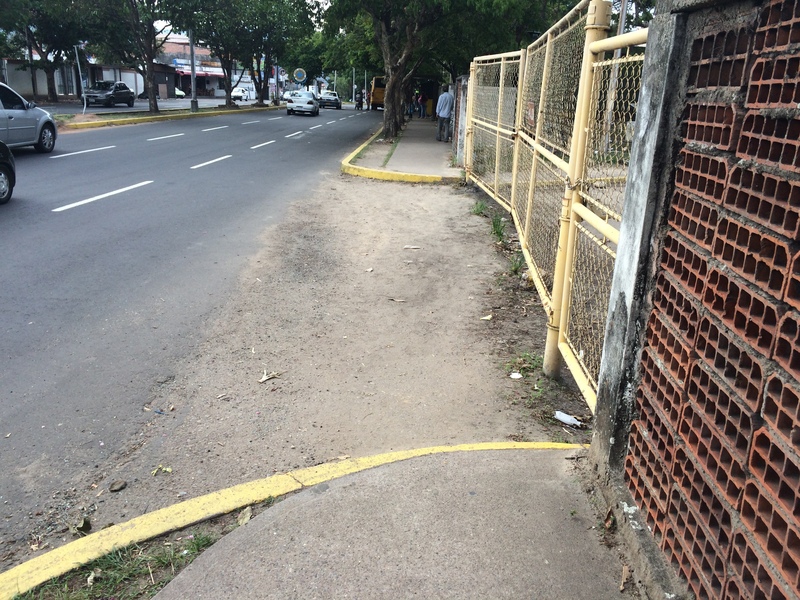 Sidewalk leading up to the bus station near the IRC and Hospital Central without ramps or textural changes. While some commercial establishments and public entities have some sort of accommodation for some persons with disabilities, i.e. 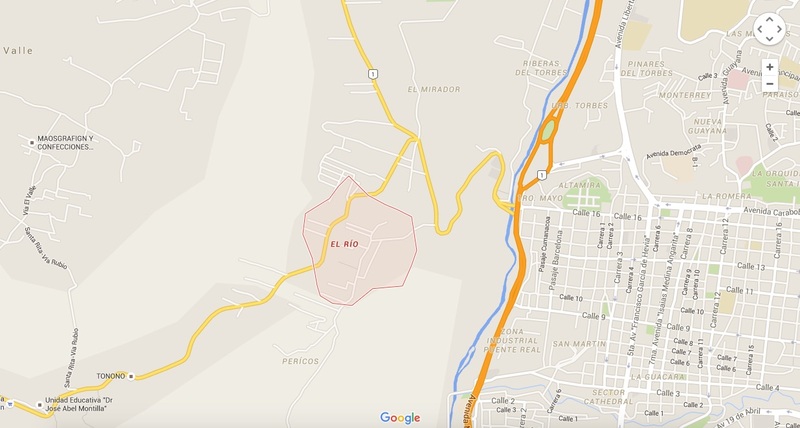 mostly the availability of signaled parking spaces, the level of accessibility in San Cristobal is negligible. The Venezuelan legal system does not lack guarantees and protections for persons with disabilities. In addition to the abovementioned national laws, there are accessibility norms in place, a National Council for Persons with Disabilities and even regional laws such as the Law of Assistance and Integration of Persons with Disabilities of Tachira State, all of which are not being put into practice not even to secure the minimum protections they establish. On the international side, Venezuela is a State Party to the Convention on the Rights of Persons with Disabilities of 2006, being one of the 89 countries, out of a total of 160, that have ratified both the Convention and the Optional Protocol. The existence of a comprehensive legal framework that provides protections for persons with disabilities is an important element in the quest for an inclusive society free of discrimination, however, it is fundamental that it leads to definitive actions for the diverse groups that are being left aside by the Venezuelan State. The consequences of this inaction may lead to severe mistreatments of persons with disabilities during natural disasters. According to Handicap International, the effects of a humanitarian crisis on vulnerable populations include: direct physical impact, affecting their mobility and dependence, psychological impact, including the loss of family member or caretakers, and a high rate of abuse during the crisis, specially for people with communication difficulties, memory or concentration problems and hearing and visual impairments. Handicap International found that 27% of persons with disabilities reported being subjected to physical, psychological and even sexual abuses during a humanitarian crisis. Especially alarming is the fact that, according to the organization, 33% of the women with disabilities declared having experienced these types of abuses. The lack of materialization of accessibility and protection measures included in Venezuelan laws goes beyond an oversight to become, in fact, an act of oppression and active discrimination of persons with disabilities by the Venezuelan State. It is necessary that the Venezuelan government stops this negligence, which, inevitably, will intensify the neglect of persons with disabilities who already have problems accessing healthcare, education and protection services in our country.